Expanding on the continued critical and commerical success of Vega, we returned to an A.D.L.C. diaphragm design for Atlas and super sized it to a new 10mm driver; up from 8.5mm found in Vega. The Atlas is an absolute beast. A bass monster of the highest order and a riot to listen to again and again. This is an IEM that grabs the Vega “presentation” and doubles-down on the physicality and irons out the upper mids and treble kinks. Importantly, it does all his without losing what was so great about the Vega in terms of resolution and holding onto that natural dynamic driver sound. 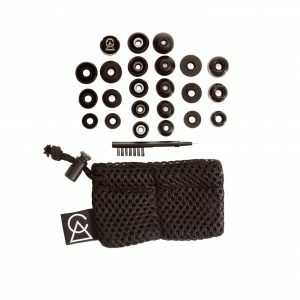 The Campfire Atlas like the fore runners in the Campfire Audio line up has surpassed its predecessors. 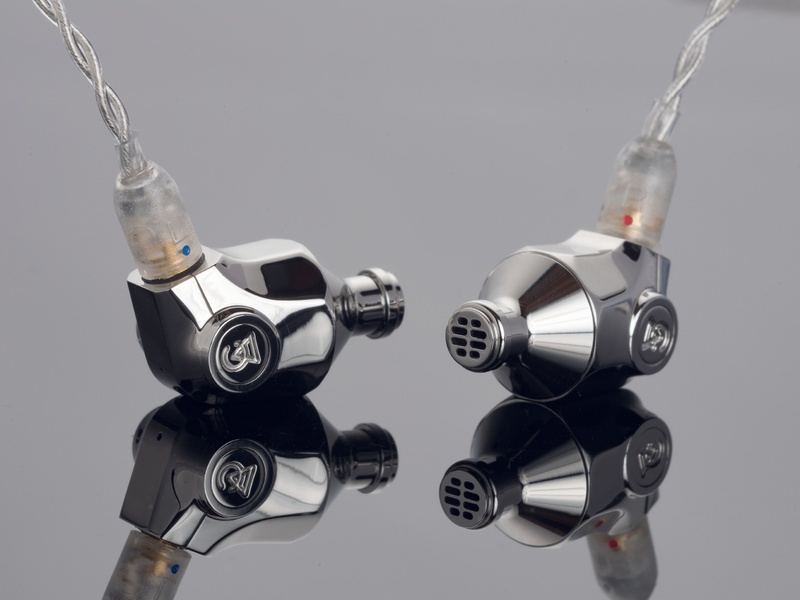 Once again the Campfire Audio team has taken what they learned from an earlier set of products and refined to produce an earphone that goes that step further. Another strong point for the Atlas are its abilities in imaging and placement. These are portrayed with a realism in the style of instrument positioning, at times a little spacious but this is, in my experience a welcome aspect giving space to breathe around instruments, so they are not hurried, truncated or forced, always sounding coherent and adding to the immersive experience. These headphones offer up a very recognizably house sound, for CA. There is a distinct emphasis in the lower register, with the mids being slightly warm and accentuated as a result. The treble in these headphones was close to flawless, in my experience, as it provided the perfect sense of sparkle and air to the sound signature. Close attention to detail is critical to delivering you the superior musical experience from our earphones. We test and pair each individual earphone, Left and Right, to establish its conformity to our firmly established tuning and performance criteria. The result is a pair of earphones truly made for each other. Best bass quality and extension I’ve heard on any headphone, IEM or full sized. Hits harder and deeper than the LCD-3, with an intimate and full mid range, and crisp high end with improved clarity from the Vega. Build quality and new cable are both excellent. Wonderfully balanced, harmonious sound (no equalizer needed!). Bass, mids and treble are perfectly matched. Clear, brilliant, perfectly audible sound. Deep black basses, harmonious mids, clear highs. Is able to play very quietly as well as very loud. Requires relatively little amplifier power (player: Hidizs AP 100, 24 bit / 196 kHz). This review refers to a brand new device, which is certainly improved by a longer insertion phase. Hard to believe that it is “only” an IE. Nice bass and treble extension without sacrificing mids. Vocals particularly satisfying and vivid along with most instruments. A new bar set in soundstage – being bigger and more immersive. Playing 24bit/ 196 kHz content and matched with SXC 8 there is a level of musical coherence I’ve not heard before from any IEM. Build quality second to none. 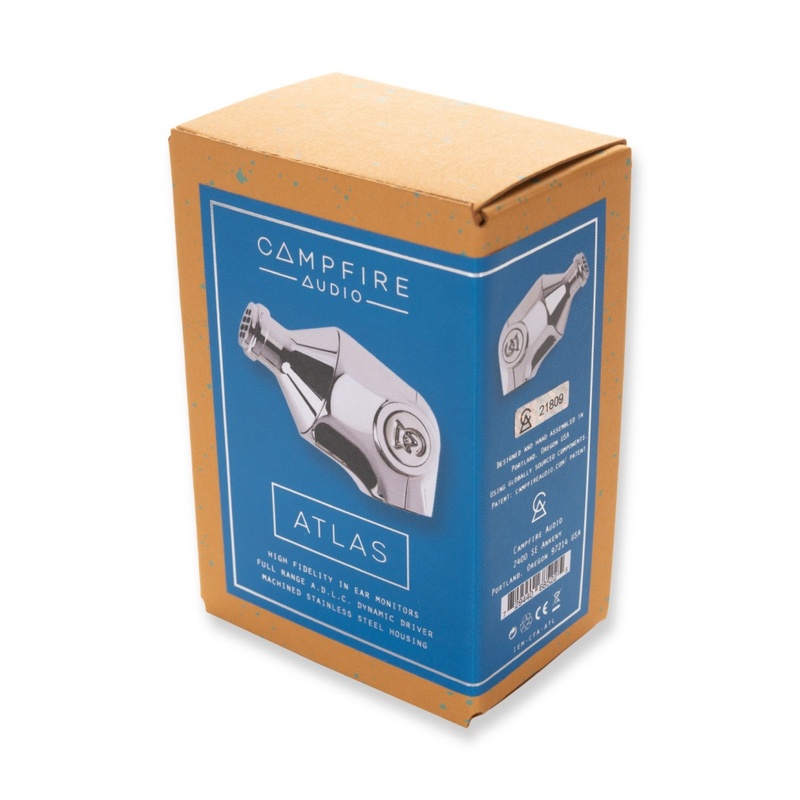 Campfire ATLAS is just awesome !! It has been about 2 months with good break-in time. My system is HQPlayer (with Nvidia Quadro to supply enough CUDA) to convert all music sources to DSD256 and stream to DAC PLAYBACK Design’s Merlot and Roon for music library management. 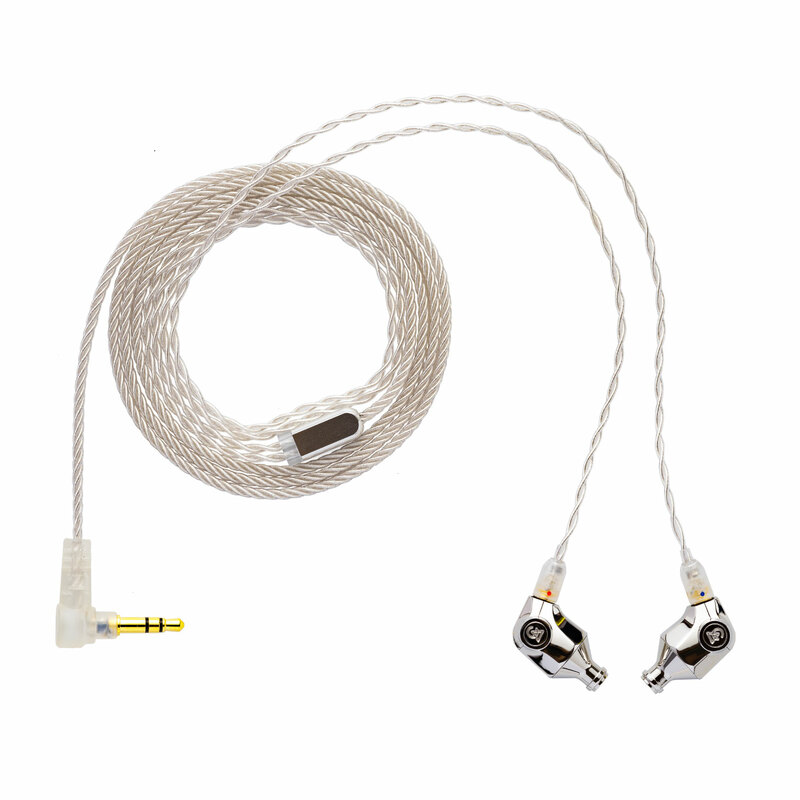 I am using custom made IEM cable from Norne the SilvergardeSCIEM plus Furutech’s Rhodium plated terminals. The cable is very important to deliver all musical energy to ATLAS evenly. I am using pure siver Litz + OCC7 copper Litz to make hybrid 12 conductors total. So the cable is little thick. 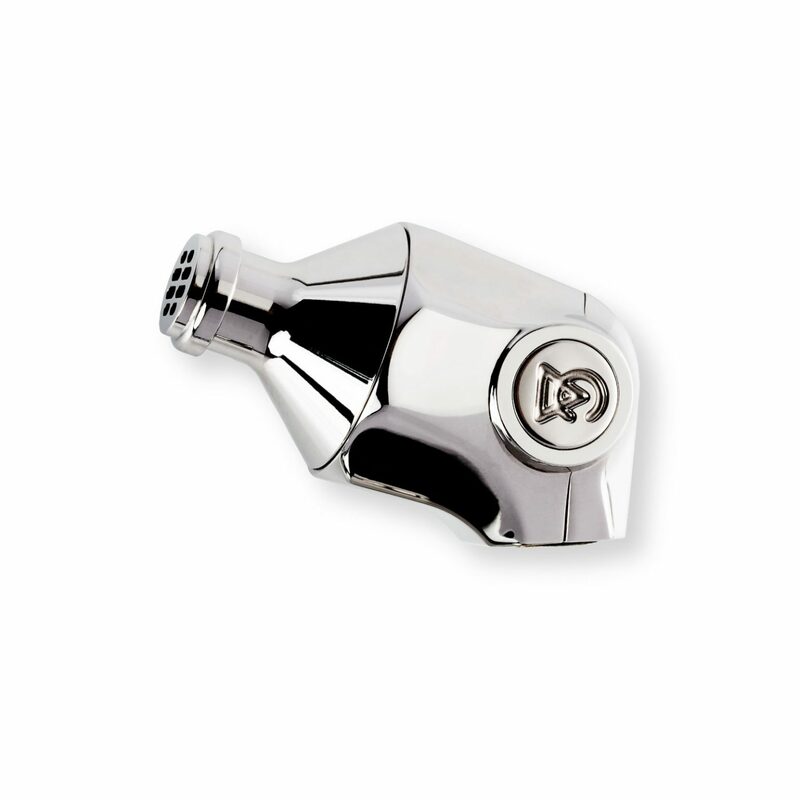 All terminals are Rhodium plated. I am using JCAT USB2.0 and Oyaide Continental 5s USB cable. ATLAS’s bass is very deep and with rich sonic resolution for each note well balanced. I can even feel the real natural power of timpani or low key piano or harp. I always wanted to enjoy a strong and natural sound of bass crawling to the floor with steadiness and presence to support higher tones. Well ATLAS does that. I compared ATLAS with Shure SE846. SE846 gave good bass presence but it lacks steadiness and resolution to compare to ALTAS. ATLAS midrange is very soft and well balanced. Purity and harmony with other instruments are especially wonderful. Vocals are very natural now. I always experienced the vocal was limited to crumble or too sharp in my previous earphones. 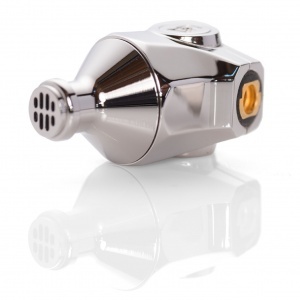 ALTAS gives me very new experience to comfort my ear drums without worries of volume. Loud volumes are very detailed also. It is very unique and convenient also. The high range of ATLAS is no problem. People would worry about shortage of high tones because it is one full range diaphragm. But when I compare to SE846 (quad diaphragms) which gives very good high’s, I found ATLAS is better because most of high frequency was very detailed with no crumbling or mixed sound. I will enjoy ATLAS for very long time without worries of sufficient volume to make unwanted noise. My DAC is very nicely working to play CD or HiRes Flac or any DSD very natural so that I could carefully compare ALTAS with other earphones. I thought the price was bit high but now I can say it does not matter because ATLAS gives me freedom and make me present to concert hall. I can feel the wind of instruments literally which I was very surprised. One thing I don’t like is that ALTAS is hardly stay in my ear canals because of my think cable. I made silver wire to hold ALTAS in my ears. 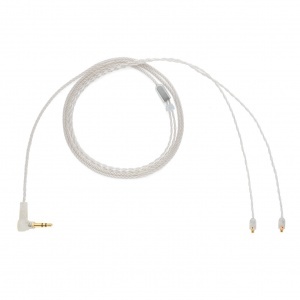 SE846 cable has stiff ending near IEM terminal which ATLAS can use. Amazing sound! Great bass, mids, and the treble is detailed without being harsh. Great all arounder for fun music listening. Pretty much perfect! I recently had the chance of attending the RMAF headphone convention here in Denver. I went with the intention of getting the best in ear headphones I could afford. For those who don’t know, RMAF/Canjam is a convention where many companies come to demo their gear. You can just sit there for hours listening to whatever you want. I was there for over 6 hours on a Saturday sampling the super-high end IEMs primarily. I probably tried 20+ high end IEMs from a variety of companies, some costing in the multiple thousands of dollars and long story short, I found the Atlas to be one of the best on the market. It blows my mind how insanely good these sound – Ken and the folks at Campfire have done something truly remarkable with a single driver IEM which punches well outside of it’s weight class. No joke, to me this thing sounds better than some competitor IEMs which sport 8-10 drivers each. It was so good that I bought a pair right then and there. The bass response on the Atlas, is for me, perfect. I like my bass, but I also like a bit of clarity in the mid/upper ranges. The bass is extremely visceral on tracks which deserve it. However, it does not bleed into the other frequencies and doesn’t sound bloated. The sub-bass is nuts. The first time I played the track Alone by Kryptic Minds (which I’ve heard before countless times) I actually said “holy ****!” out-loud. The tuning is such that there is highly impactful bass while simultaneously, 3D mid/high notes that are somehow separated in a way I didn’t think possible on a single DD. I’ve compared the Atlas to the Vega and for me, the Atlas sounds like the Vega, but with more clarity and a surprising bump in the low end as well. The soundstage is quite wide, it seems to extend out beyond my head and sometimes I forget that such a huge sound is coming from these IEMs. The mids are slightly recessed, but pleasing to me. The highs are clear and sparkly without being harsh. Build quality is among the best in the industry. These things are built like a tank. When I was first trying them out I was surprised how well they fit, they look much bigger in the pictures. With the right tips, these go alot deeper into the ear canal than some other CA models. The variety of included tips is great. I like both the foam and the Final Audio tips, which I think I’ve settled on. 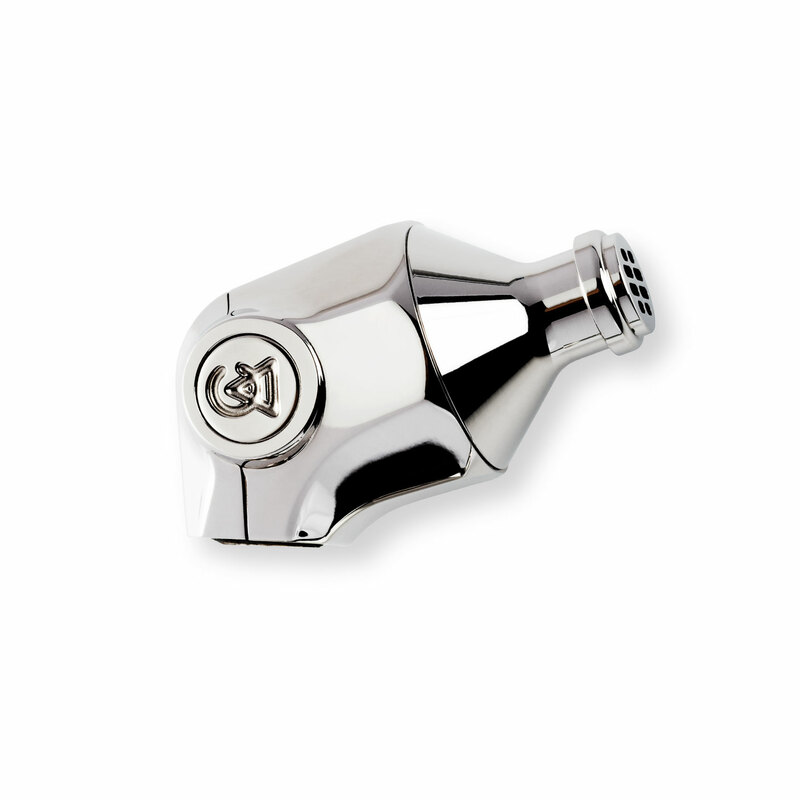 The way the nozzle is made makes replacing tips super easy and since the whole body is steel you don’t have to worry about breaking it off. The included case is very nice as well, the interior prevents scratching the finish. The included cable is also top notch, it’s very supple and visually pleasing. TL;DR: The price to value ratio on the Atlas is amazing. It outperforms the competition by several brackets and is a stunning display of what a single dynamic driver can do. 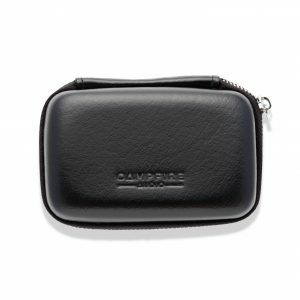 Congrats Ken and Campfire Audio. You’ve made my auditory dreams come true. After much perusing of reviews I took the plunge and picked up a set of these from Travis at Headphone Bar in Vancouver. In short– they are stunning, easily the best money I’ve ever spent in this hobby. This is the sound I have been searching for my whole life. As someone whose tastes veer towards EDM, funk and other music rooted in beats and rhythm these are a dream come true. You feel totally surrounded and enveloped in the music. The bass is powerful and immersive– but not overbearing. In fact all frequencies feel totally present, alive and equally balanced. Snares are crisp, cymbals ring and everything seems very present. I was hearing notes and instruments flying at me from all directions. I have never been so totally immersed in my music before. I wouldn’t class these as “basshead”, it’s just that they do bass so incredibly well. My reaction to the bass in these is less “that’s a lot of bass” and more “oh bass, where have you been my whole life?”. Nothing is heard that isn’t present in the original recording, and there is zero distortion no matter how high I turn the volume on my M9. I’m not really an audiophile and I don’t have the vocabulary or palette to do a proper review– all I can say is what I feel. All my music is coming to life like never before– it’s like re-meeting old friends for the first time and discovering that you never really knew them. Listening to them now it feels like I’m dreaming but in reality it’s that I’ve never before been truly awake. Everything I have played in these has been a total revelation and I often find myself smiling ear to ear in enjoyment. Prior to purchasing these I scoured the web for reviews including the forums at Head-Fi, where there is a thread called “Rank the IEMs You’ve Heard” and I scrolled back through like 50 pages and was struck by the number of people who placed the Atlas in their top 5 or 10– often above or in the league with much more expensive pairs. Highly recommended. Couldn’t be more happy with the sound of my new Atlas IEM’s. These are actually the very first IEM’s that I have been able to access such immense clarity and definition when playing exceedingly demanding movie soundtracks such as Van Helsing, a soundtrack which immediately destroys most IEM’s regardless of price point. Even decent quality MP3 files sound exceedingly superior on my lowly ipod….which I still use for certain environments. But give these a superior source and then prepare yourself to be utterly blown—away. What I very much like, also, is the fact that they are not ‘over the ear’ which, for me, I have to be in the mood to utilize. They stay in place even when I take them mountain biking…which is fantastic. The Atlas IEM’s are EXACTLY what I was hoping they would be. 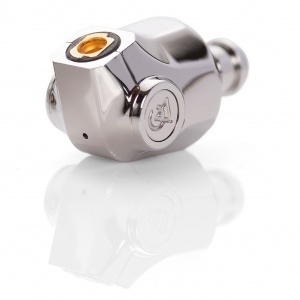 The weighty feel of the stainless steel body is a pleasure to handle and look at. Sure they are a expensive, but all I can say is that I have tried some IEM’s for double the price which in no way compare to these. So I am very very happy that I rolled the dice on these. For once my gamble paid off. Low quality music files do produce hiss, but what do you expect??? Even so, like I said, if you have at least decent / high quality MP3 Files…they somehow manage to reveal nuances that you not have heard otherwise, as said, even on a crappy old ipod.